By NNA Staff on September 26, 2011 - I’ve been asked to notarize a document that includes my name on a list of people being authorized as representatives of the signer. Can I perform this notarization, or should I get a Notary who is not mentioned in the document to perform it? By NNA Staff on September 26, 2011 - The North Carolina Division of Motor Vehicles has shut down a privately-run license plate agency after the manager and an employee were arrested on suspicion of notarizing blank vehicle title documents which could be used to fraudulently transfer ownership of vehicles. By NNA Staff on September 26, 2011 - Without the state-approved certificate wording, a Notary’s signature and seal have little meaning because the wording describes what type of notarization was performed — such as an acknowledgment or jurat — and what procedures the Notary followed. By NNA Staff on September 26, 2011 - The online nomination process for the 23rd annual Notary Of The Year has begun, so nominate a respected fellow Notary, a stellar Notary employee or yourself for the NNA’s top honor. The deadline for nominations is December 30. By NNA Staff on September 22, 2011 - Though some believe that maintaining a journal of notarial acts seems like an unnecessary burden, keeping one turned out to be very helpful for NNA 2007 Notary of the Year Joan Sampson when a mortgage fraud ring allegedly forged her seal and signature on a host of bogus documents. By NNA Staff on September 22, 2011 - Boards of directors nationwide rank risk management as the primary concern for their companies, according to a recently released study compiled by accounting and consulting firm BDO USA. By NNA Staff on September 22, 2011 - If your Notary seal and journal get into the hands of a criminal and are used to commit fraud, you could face a whole host of headaches because you didn’t secure them properly. 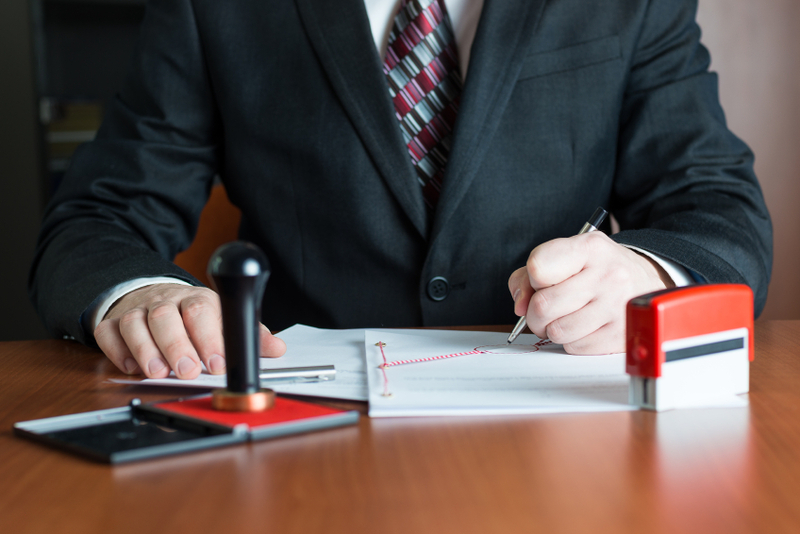 Avoid this scenario by following these security tips for your Notary tools. By NNA Staff on September 22, 2011 - The milestone eNotarization was carried out recently by Dublin-based solicitor and Notary David Walsh for a document going out of the country. The document was referred to Ireland’s Department of Foreign Affairs to become the first electronically notarized document to receive an electronic Apostille. By NNA Staff on September 22, 2011 - The National Notary Association’s social media community is growing fast and we’re inviting you to join the conversation so you don’t miss out on valuable discussions, information and networking! By NNA Staff on September 22, 2011 - The Bureau of Labor Statistics predicts that job openings in healthcare administration and office support — areas where Notary services are in high demand — will see a major upswing between now and 2018.